Do you hurt when you wake up in the morning? Have you lost your enthusiasm and DRIVE for life? Are you afraid your dreams are dying for lack of focus or energy? Join Tai Chi expert Steven Barnes (N.Y. Times bestselling author, former Kung Fu Columnist for Black Belt magazine, 35 years Tai Chi Training and teaching) in his dynamic day-long workshop, suitable for all levels! Steve has practiced martial arts, yoga, and a vast array of physical and mental disciplines for over FORTY YEARS and has “hacked” the magic of the world’s most popular exercise/meditation form. He was told it would take TEN YEARS to get the benefits of Tai Chi. NONSENSE! In THIRTY DAYS you can turn your life around, and we’ll hold your hand every step of the way! 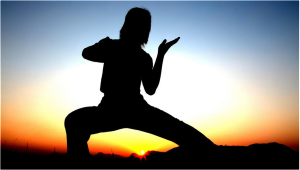 The principles of the ancient Wu Style Tai Chi form (the workshop will be suitable for beginners or experienced players)–relaxation, balance, joint health, and more. Ancient, dynamic, powerful–the most popular movement system in the world, and you’re about to find out why! The reasons the form works, and SHORTCUTS to producing the results (it can take a year to learn the full form: we’ll teach you to “hack” the form’s physical and mental benefits, so that you can completely master stress in your life in only FIVE MINUTES A DAY! It does NOT take YEARS to transform your life…THIRTY DAYS from the day you begin, you’ll be on your way to a NEW LIFE, and we’ll hold your hand all the way! Now that you have more energy, more health, and you’ve made stress your tool, how to RE-CONNECT with your deepest dreams and goals, the wellspring of your life…and create a DAILY RITUAL to bring this to life day by day, a dynamic BODY, CAREER, and EMOTIONAL LIFE…NOW! The TEN STEPS to mastering ANY challenge in your life. How to organize ALL your resources for greatest efficiency and effectiveness, using a secret technique from ancient SUFI traditions to “shortcut” your way to mastery. And how to take the principles and gifts of Tai Chi (and associated special movement systems) and BREAK THROUGH to your new life! Eight hours of instruction and fun, the FIREDANCE TAI CHI workbook, the Firedance social media group, thirty days of free email support, and a live follow-up teleconference to answer ALL your questions. This is what you’ve been looking for! ZERO FINANCIAL RISK. 100% SATISFACTION GUARANTEE. We know from experience the impact FIREDANCE TAI CHI will have on your life. We’re willing to take ALL the risk out of your decision. Enroll now. You’ll LOVE it! If you’re not satisfied by the lunch break, simply turn in your workbook and we’ll gladly give you a full and complete refund. You have nothing to lose…and everything to gain! “The best teacher of any subject I’ve ever seen!”–Dan Moran, science fiction writer. All skill and fitness levels welcome! Hurry! Only Limited spaces available! “Attending the Firedance Tai Chi workshop was one of the best things I’ve done in recent history; Steve taught me so much and introduced me to my Ancient Child. I’m still applying the lessons I learned. Whether you’ve done a workshop with Steve or not, I can guarantee you’ll get something new, something precious, and a way to change your life for the better. This workshop truly is for all levels of fitness and ability; I’m getting slightly more disabled every year and yet I can apply the breathing techniques and adapt the movements so that I can continue to gain benefits, every single day. STEVEN BARNES holds multiple black belts, has over thirty years of teaching and training in Tai Chi, and holds instructor certificates in Yoga and Circular Strength Training. In addition, he is a master hypnotist and New York Times bestselling author of over thirty novels. 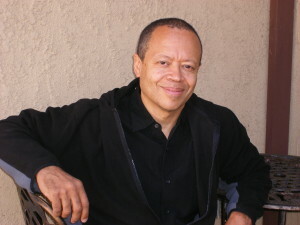 In addition, he has written for such television shows as OUTER LIMITS, TWILIGHT ZONE, and ANDROMEDA. His life goal is to create one million awake, aware, adult human beings, and he invites you to become part of this movement. He lives with his wife and soulmate, American Book Award winning novelist Tananarive Due and their son Jason in Southern California.